Speed, engine, make and model, these are some of the things a buyer usually looks for in a car. The problem is that people nowadays forget something that is gravely important. Nothing should be more valuable than safety. This is one factor that shall never be forgotten and always be on top of the priority list. 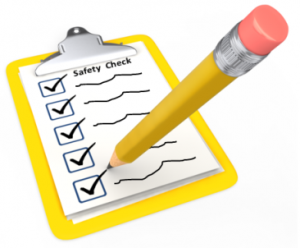 A safety certificate is a must have for every seller and a 'must look for' or something every buyer should require. This will protect both from liability and future inconveniences. From the term itself, these certificates serve as proof that the vehicle in question is road safe. The vehicles undergo inspections that usually last less than an hour. Upon passing the said procedure, a written report along with the certificate will be given by the inspecting team. Otherwise, you will be given a specific amount of time to fix the problem, and the vehicle will be subject for another inspection. Graeme Teale Mechanical Repairs, mechanical experts based in Brendale, provides these inspections for all types of vehicles. We have been in the business for a combined background of 40 years, and so we guarantee the efficiency of the service you will get from our team.